Visit us next week, starting Monday December 14th for a week long Holiday Party and enter our 2009 Studio Lune Holiday Gift-Away package! 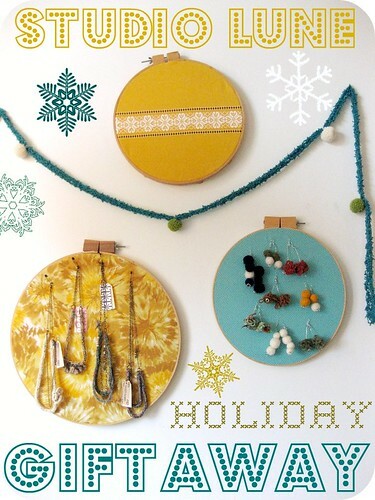 It's full of handmade and vintage to make your holiday bright, and totals a whopping $125 of Studio Lune merch! Entries start Monday 9am central time, and close Friday at noon! Sooooo....heads up, and don't be a Grinch, spread the word!